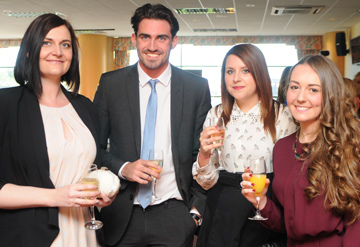 Northern Chartered Accountant Students’ Society (NCASS) is pleased to announce that the NCASS Teesside Annual Dinner will be on Friday 8 May 2015 in Middlesbrough. Join fellow students from the Tees Valley, County Durham and North Yorkshire on Teesside for our annual dinner at the Thistle Hotel for an evening of networking and entertainment. We will also be announcing the winners of this year’s CU Peat Prize Fund. The CU Peat Prizes have been awarded since 1961 and are awarded to students in ‘north Yorkshire and south Durham’ for achieveing outstanding performance in the ICAEW exams leading to the ACA qualification as well as demonstrating extra-curricular work/ contributions to their firm, clients or local organisations alongside their academic studies. The CU Peat Prize Fund was established in 1961 by former Darlington MP Charles Urie Peat, a senior partner in leading accountancy firm Peat Marwick Mitchell & Co (now KPMG), which had offices in Middlesbrough, Darlington and Newcastle. He became national president of the ICAEW in 1959. A three course dinner and DJ is included within the price. The dress code is lounge suits. Tickets are £39.50. 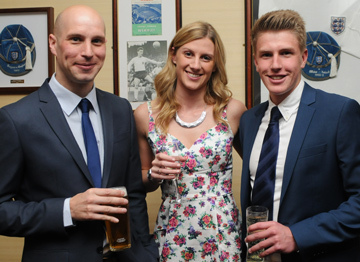 Read more about the NCASS Teesside Dinner 2015 on our events page. To book your tickets please contact Joanne Lucking by email joanne.lucking@icaew.com or telephone 0191 300 0532. Today NCASS provides support and organises events across the North East, Teesside and northern Yorkshire. 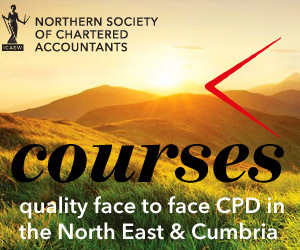 In Cumbria we are called CCASS (Cumberland Chartered Accountant Students’ Society).